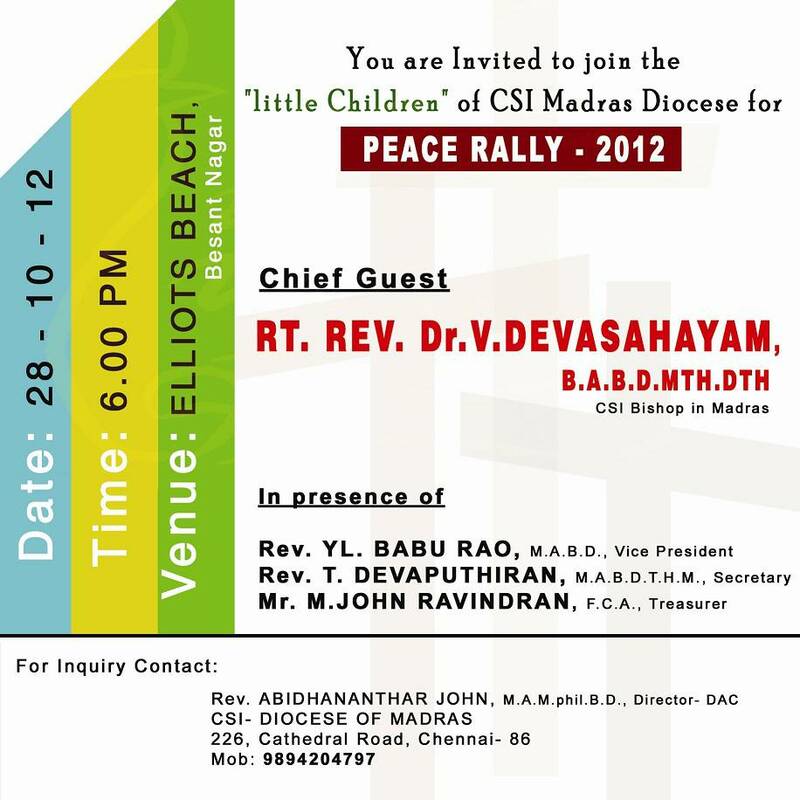 Children light their lamps to dispel darkness of casteism The children of the CSI Diocese of Madras come together with lights to exhibit their hope in creating a casteless society. 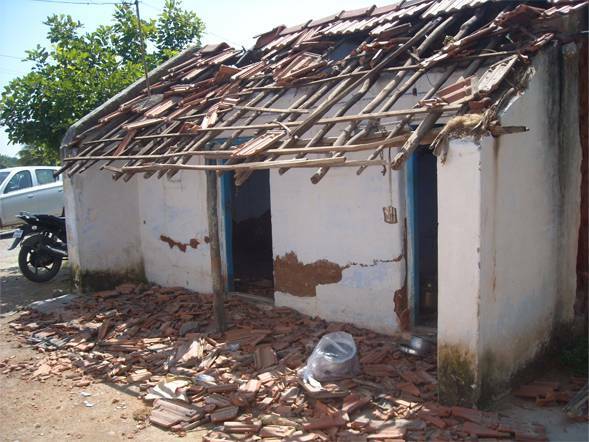 Their conviction propels them against caste which is ignorance and evil. Helpless, as they wish to torch the tentacles of casteism and dream to burn casteism to ashes. Children are taught that God has created all people, men and woman in His own image. This truth confuses them when they see in reality women treated less and many people made inferior and unfit to live. It is perplexing to know that they are born to be so. 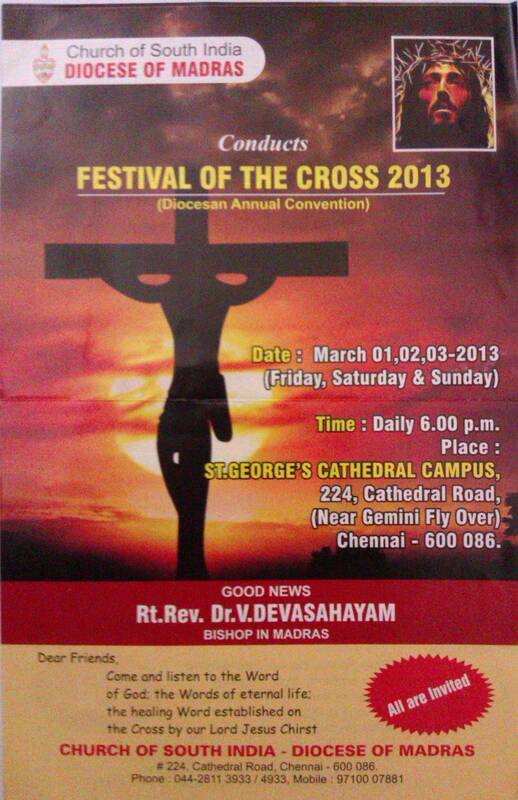 Time : 6.00pm every day Festival of the Cross 2013 - March 01,02,03 - Diocese annual convention ( All are invited ) Come and be blessed. Place : St. Georgess Cathedral campus Address : 224, Cathedral road,( Near Gemini fly over)Chennai - 600086 Time : Daily 6.00pm Good News : Rt. Rev.Dr. V.Devasahayam Bishop in Madras.